Carol Kline has worked in regional theatres all over the country including Hartford Stage, The Guthrie, ACT San Francisco, South Coast Rep, the Mark Taper Forum, San Francisco and Sante Fe Opera Companies, She has performed at Civic Light Operas such as Pittsburg’s Benedum as Jack’s Mother in INTO THE WOODS, Widow Corney in Theatre League’s tour OLIVER!, FIORELLO! , SWEENEY TODD, and SUNDAY IN THE PARK for Reprise! and Music Circus, Sacramento, where she has done more than 30 roles. Carol’s work was awarded the Distinguished Artist Award of the Los Angeles Music Center in 1987 for her work with the Mark Taper Forum for such shows as STAND-UP TRAGEDY and HANDS OF ITS ENEMY. With Deaf West, Carol was nominated for a 2000 Ovation Award, playing Widow Corney IN OLIVER! and played to sold out audiences as Widow Douglas/Aunt Sally in BIG RIVER at the Taper; both shows were directed by Jeff Calhoun. She recorded Pardon My English and Sophisticated Ladies for the Gershwin Foundation and was honored to perform Mrs. Beaver in Disney’s 2005 NARNIA, SONGS OF WONDER cd. Film and TV includes HONEY, I SHRUNK THE KIDS, POLAR EXPRESS, Showtime’s VANISHING AMERICA, MELROSE PLACE, ER,, NYPD BLUES; Carol stars in the Academy Award nominated short film, SPLINTER. In 2004, Carol created a greeting card company, BROADWAY BABIES, to raise funds for MTG Educational Outreach Programs, www.broadwaybabies.org. Married to visual effects art director Marty Kline, her finest production to date is her beautiful daughter, Sara Ann. 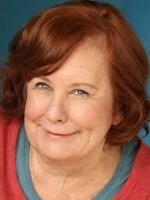 Carol has been a proud member of Actor’s Equity since 1973.